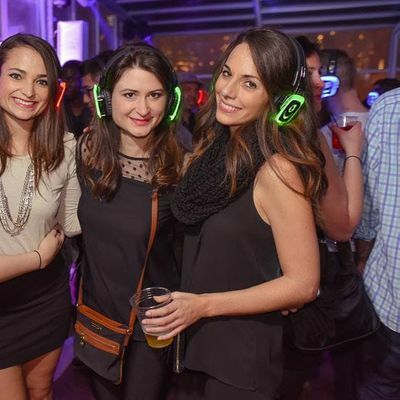 Join us in Greenwich Village for our NYC Rooftop Silent Disco party. Just steps away from Union Square Park is Bar 13, fully equipped with two bars to quench your thirst and a menu oozing with delectable comfort foods. Quiet Events will be on the heated rooftop keeping the whole house rocking. Our 3 live DJs and two dance floors at Bar 13, all adds up to a great time! What to bring: • Valid ID • You MUST have a credit or debit card for the check-in process. If the headphones are NOT returned, there will be a $100 charge to your credit or debit card after the event. • No need to print your ticket, just show the code on your phone or they will have your name at the door. How it works: When you arrive you’ll receive a pair of special wireless headphones. 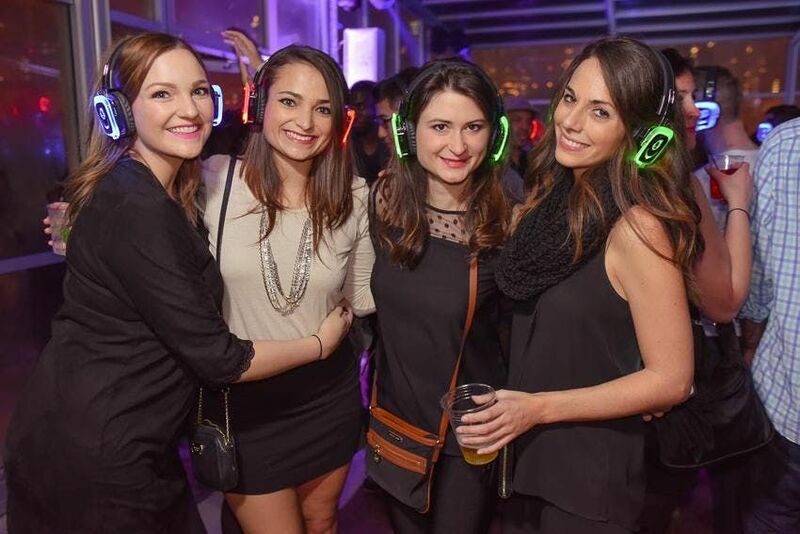 You can adjust the volume and choose between up to three DJ’s with a flip of a switch. Each headset has a color LED that shows what channel you are listening to. It’s super social; you’re in control of the music! There’s no loud music that you have to talk over. Plus, there’s no ringing in your ears when you leave!